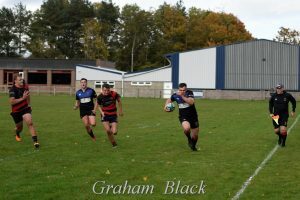 Linlithgow started the second half well, with man of the match Cal Thomson running in from 20 metres to secure both his hat trick and the team’s bonus point, converted by Chapman. 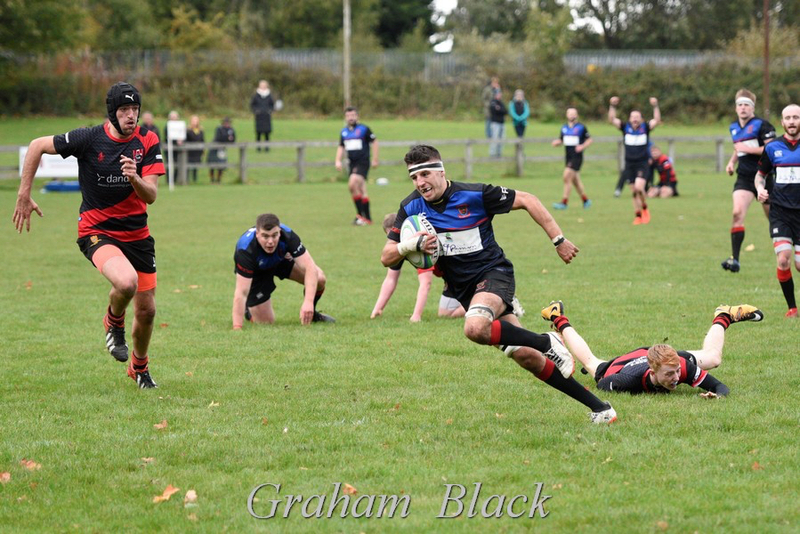 Linlithgow kept up the pressure and had more chances to increase the lead but several times lost the ball in contact. 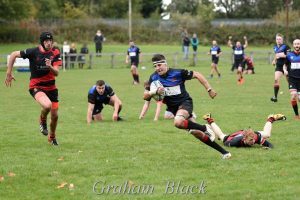 North Berwick came more into the game and when the referee awarded them a penalty they kicked for touch practically on the home goal line. However the Reds showed great defensive qualities and cleared the trouble. Then Chapman had to be quick to prevent another try in a footrace following a long ball, this resulted in a 22 drop out. 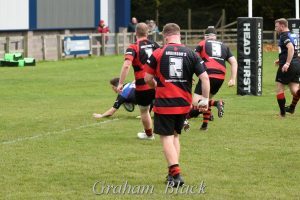 The visitors did score a try which was a little fortunate as a clearance hit a North Berwick player and bounced into the path of a team mate who reduced the deficit, the conversion was good. Close to the end, Linlithgow made the points safe when Ross Plenderleith showed the visitors a clean pair of heels, the conversion from out wide hitting the post and bouncing the wrong way. Full time 31-19. This was a very entertaining game, played in good spirit. Linlithgow showed some great qualities, and while the ball didn’t stick in the hands as much as we would like, hopefully the win should give the whole squad some confidence. Ross Tulloch; Ross Plenderleith, Mark Green, Chris Ronalson, Lewis Herdman; John Chapman, Dougie Thomson; Ally McLean, Stuart Cunningham, Matthew Sommerville; Fraser Mochrie, Kieran Cochrane; Andrew Archer, Cal Thomson and Mark Caddle.